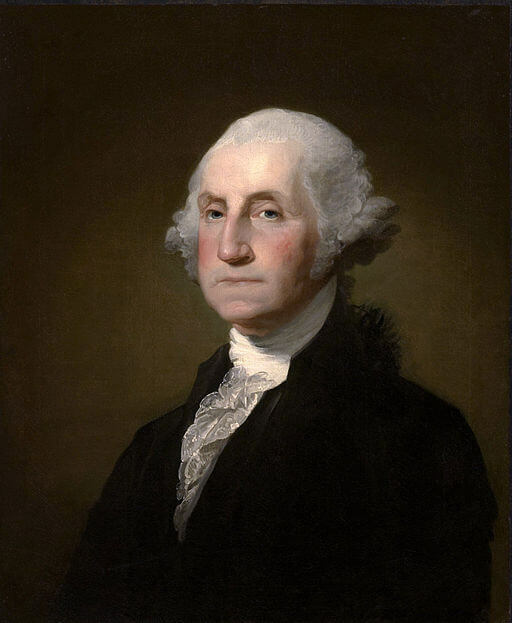 George Washington (1732 - 1799) was the first President of the United States from 1789 to 1797, served as Commander in Chief of the Continental Army during the Revolutionary War, and presided over the 1787 convention that drafted the U.S. Constitution. Washington became known as the "father of the country" and the driving force behind the establishment of the United States of America. On July 9, 1776, he read The Declaration of Independence to his troops, gathered in New York City to defend against the rising British forces. You might also enjoy reading Theodore Roosevelt's biography, George Washington: Hero Tales from American History and Daniel Webster's speech, The Character of Washington. Don't forget the popular myth retold by James Baldwin, titled George Washington and His Hatchet. "There is nothing which can better deserve your patronage, than the promotion of science and literature. Knowledge in every country is the surest basis of public happiness."